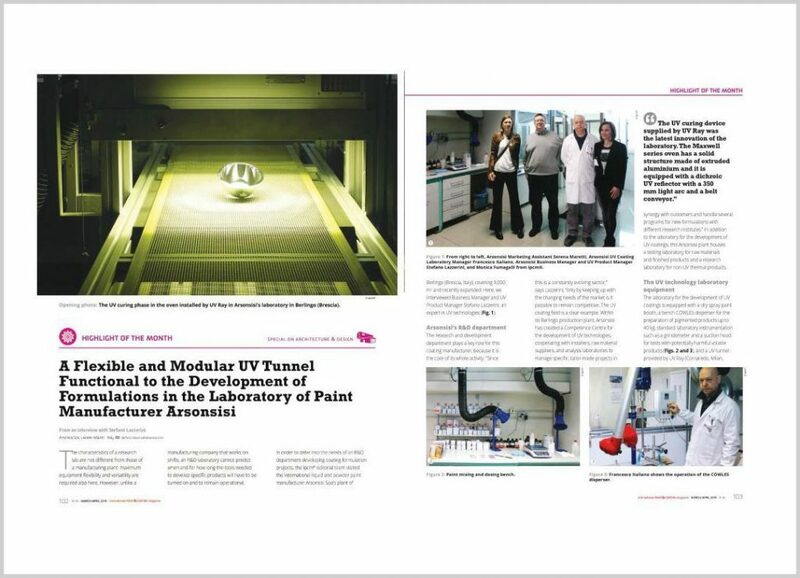 Ipcm® International Paint & Coating Magazine visits the Berlingo plant of Arsonsisi for the production of liquid paints and interviews dr. Stefano Lazzerini on UV coating technology. Dr. S. Lazzerini: The research and development department is the core of Arsonsisi whole activity, because only by keeping up with the changing needs of the market it is possible to remain competitive. 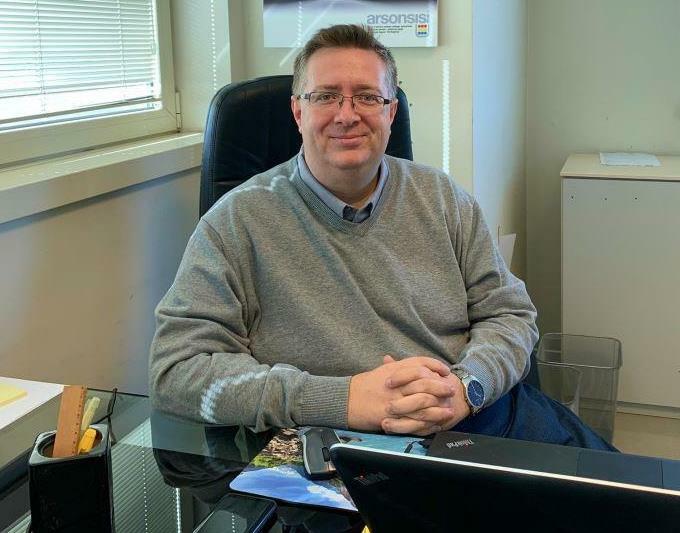 Dr. Stefano Lazzerini, Business Manager and UV Product Manager at Arsonsisi. 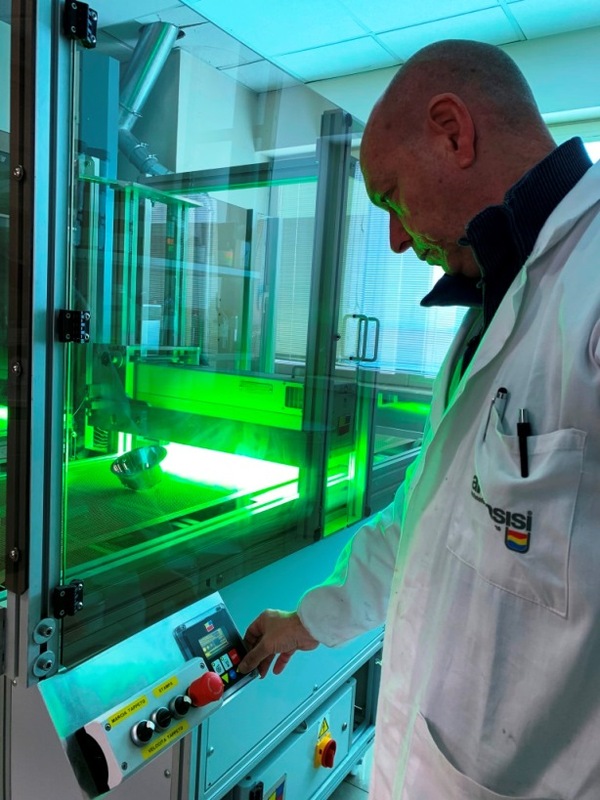 Within the Berlingo production plant, Arsonsisi has created a Competence Centre for the development of UV technologies, cooperating with installers, raw material suppliers, and analysis laboratories to manage specific, tailor-made projects in synergy with customers and different research institutes. In addition to the laboratory for the development of UV coatings, this plant houses a testing laboratory for raw materials and finished products and a research laboratory for non-UV thermal products. Ipcm®: How is the Competence Centre for the UV coatings equipped? 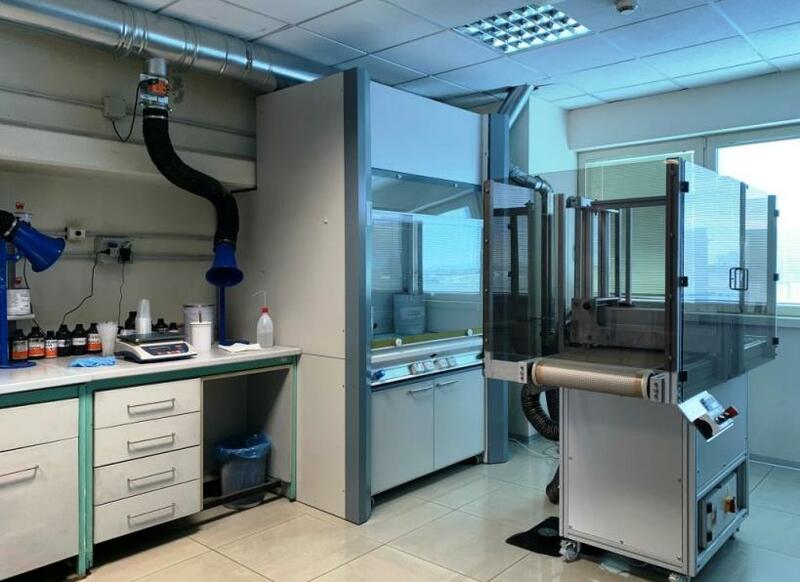 Dr. S. Lazzerini: The laboratory for the development of UV coatings is equipped with a dry spray paint booth, a COWLES bench disperser for the preparation of pigmented products up to 40 kg, standard laboratory instrumentation, and a UV tunnel. The laboratory for the development of UV coatings. The UV curing device supplied by UV Ray (Cornaredo, Milan) is the latest innovation of the laboratory. We introduced this new device to streamline the activity of our lab. That is why we explicitly required UV Ray to equip the oven with a plastic case to prevent our operators from using UV protections, which would otherwise be mandatory because the rays can harm eyesight: this facilitates work. Moreover, previously there was only one UV tunnel used by both the testing and UV coating labs, with easily understandable overlapping issues. Thanks to the UV Ray oven, we have now separated our two activities and solved the problem. Application in the dry spray paint booth. Ipcm®: What are the advantages of the UV tunnel? Dr. S. Lazzerini: We needed to find a tool enabling our operators to set variable parameters without limiting to any specific type of workpiece or process. The UV Ray tunnel has perfectly met these needs, because it is a very versatile and efficient system. First of all, it allows adjusting the advancement speed of the parts positioned on the conveyor belt. 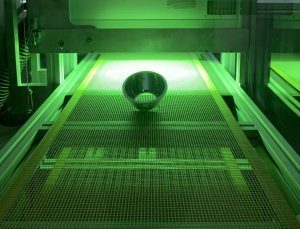 Secondly, it enables to vary the height of the UV lamp, thus increasing or decreasing its distance from the sample and making it possible to cure even three-dimensional objects with complex shapes. Finally, it allows adjusting the mercury lamp power from a few W/cm2 to a specific maximum power of 180 W/cm2. A further benefit is the energy saving guaranteed by the UV Ray system. Turning on and off a UV lamp reduces the tool’s service life by 3 hours, thus resulting in rapid wear. The UV Ray tunnel has been designed in order to enter stand-by mode to allow the lamp to save energy. The flexibility of this device is fundamental for us, as the UV sector is expanding and every day we are faced with very different requests in terms of type and size of parts. An instrument with such flexible characteristics enables us to meet even the most particular needs. Ipcm®: What are the current projects for the UV coatings laboratory? Dr. S. Lazzerini: We are focused on pre- and post-UV coatings for sputtering processes on plastics and metals, 100% dry UV coatings, water-based UV coatings, LED lamp hardening coatings, and UV coatings for the automotive sector. UV-rays curing of base-coat for plastics. 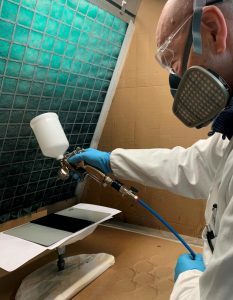 As for the development of UV coatings that harden with LED lamps, our UV Ray system is ready for the possible addition of LED lamps or the replacement of the mercury-based one currently in use. We intend to devote ourselves to the development of this type of paint in the future, but we looked for a tool that allows replacing the lamps without forcing us to purchase a specific instrument with LED lamps. 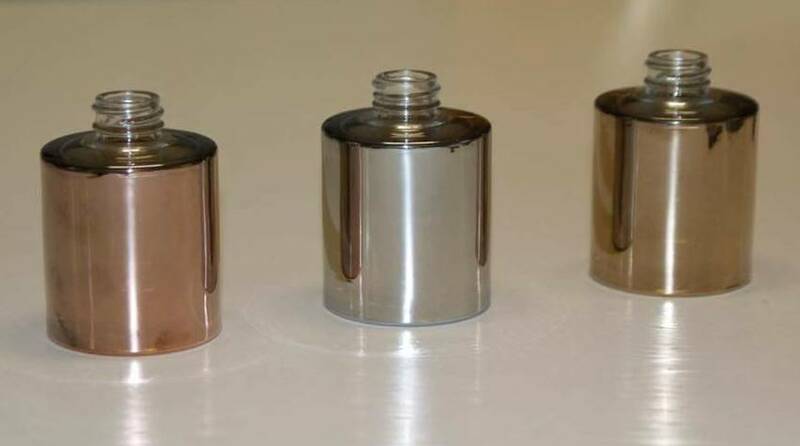 Ipcm®: How do you reckon the state of the art of the PVD/Sputtering coatings? Dr. S. Lazzerini: If lawmakers do not establish a deadline for the ban on chromium VI, the market, especially in the automotive industry, will continue to use traditional systems. The galvanic process will continue to be counterposed to the physical vapour deposition (PVD) technology, which is the most ecological alternative on the market and, in addition to giving the same results, allows treating different materials. A system composed of a pre-sputtering UV paint + a sputtering finishing layer; the longer dwell time of the workpiece in the sputtering chamber ensures higher thicknesses, so that repainting is no longer necessary. 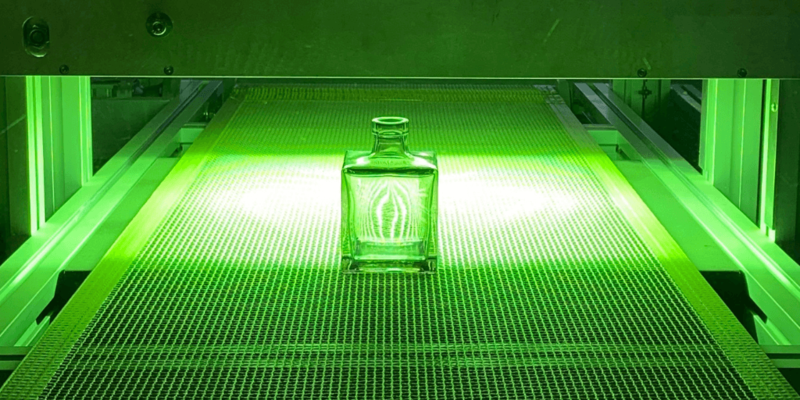 Ipcm®: What do you think about the future of the UV market? Dr. S. Lazzerini: Our R&D department has already completed and presented to the market numerous projects. Other studies have been completed, but they are not easily accepted by the sector, such as those relating to powder coatings for MDF. The main difficulties, especially for coating contractors, concern the high investment required to install a UV curing system also optimised for cross-linking coatings on complex three-dimensional parts and for handling large batches. Objects painted with a UV paint + a sputtering layer + a post-sputtering UV paint. 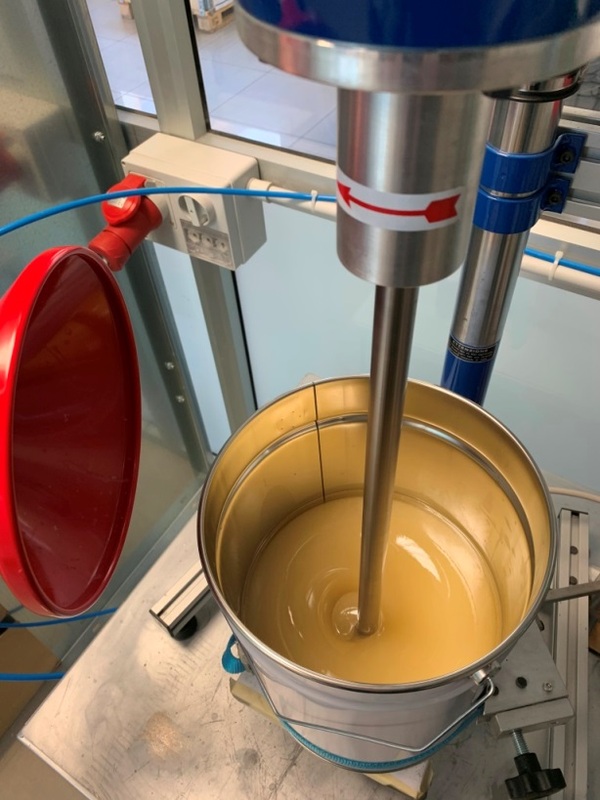 However, the very big orders are now handled in China, whereas European coaters tend to characterise their production by applying special coatings on small batches. Therefore, making such a large investment can be an issue for them. On the other hand, the systems that include PVD sputtering coatings are now fine-tuned and they work very well, so much so that they are now starting to be requested by our most far-sighted customers (even those using conventional galvanic processes) that want to avoid being in trouble when lawmakers will definitively ban the use of CrVI. Of course, our research activity cannot stop at the results obtained. Having found reliable partners for the supply of the right equipment is a further guarantee that our projects can be developed flexibly and quickly and with the proper safety measures for our operators. 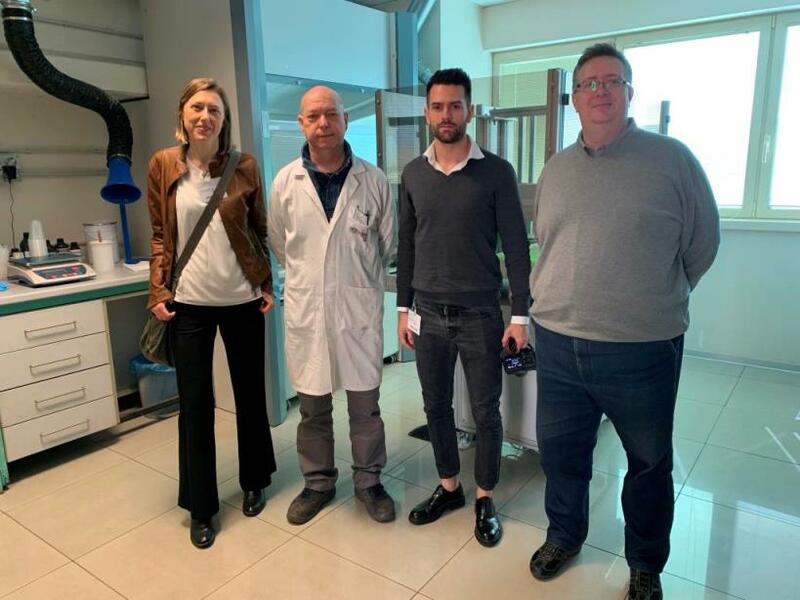 From left, Monica Fumagalli (ipcm®), Francesco Italiano (Arsonsisi), Marco Sotti (ipcm®), Stefano Lazzerini (Arsonsisi) during the visit to Arsonsisi’s Competence Centre for the development of UV coatings. Download the pdf and read the full article in the Highlights of the month of ipcm® n. 56 Mar./Apr. 2019!